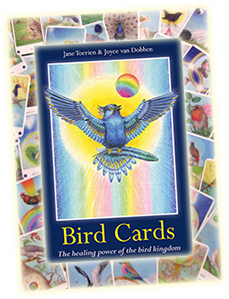 Discover the remarkable healing power of birds, and how they can support us in our daily lives, with this powerful deck. Throughout the history of mankind and in all indigenous cultures, there has been an understanding that birds are profoundly important to us, carrying messages, signs and symbolism. When birds appear in a significant way in our lives, whether in real life, or in a dream or a meditation, we tend to stop a moment and ask ourselves, ’What does that mean?’ The Bird Cards help to answer that question, but they also carry the idea that each bird actually carries its own particular energy, or vibration, which helps to heal our inner beings and our planet in a very specific way. Each pack contains 55 Beautiful Bird Cards plus an 80-page booklet. They also have a transcendent function – you have only to think of the Holy Spirit depicted as a Dove in the Bible, or to recognise the feeling of upliftment that comes when a bird makes its presence felt in your life, to know that this is so. The Bird Cards work with this idea, that bird energy is available to us to tap into, to balance and lift up our vibrations. There are 55 cards in this pocket edition, consisting of a box containing the beautifully illustrated, colourful cards, and a booklet in which the specific energy and symbolism of each bird is explained. 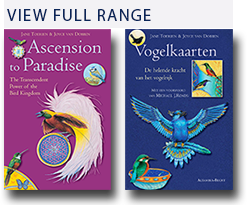 The oracle cards were written by Jane Toerien and illustrated by Joyce van Dobben. Click here to read more about the story of how the Bird Cards came about. 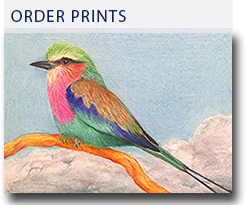 View the full range of Bird Cards or click here to order. “I have developed an awe and respect for the power, ease and inspiration available to me when I work consciously with the bird kingdom through the Bird Cards. It seems to provide a portal into another stream of consciousness which supports me in my daily life, and I have experienced extraordinary synchronicities many times”. – Liz Mackenzie.